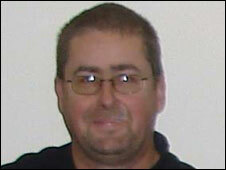 A man found murdered in his Lincolnshire home had been tortured before being stabbed and his throat cut, police said. Detectives revealed more details of the killing of Alan Wood, 50, in Lound on 24 October, ahead of an appeal on the BBC's Crimewatch programme later. An e-fit picture of a suspect has also been released. Police said Mr Wood was forced to hand over his bank cards and pin numbers before he was killed. Det Chief Inspector Phil Denilson said: "It was a savage murder completely disproportionate with the small amount of money gained." Mr Wood was last seen alive at about 1830 GMT on 21 October at his local pub the Willoughby Arms in the nearby village of Little Bytham. 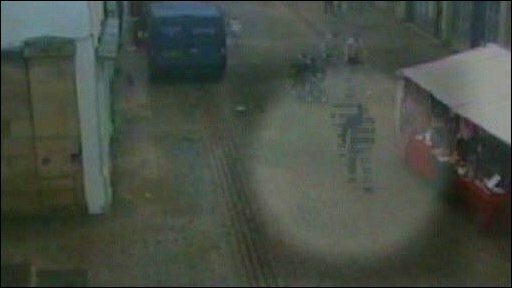 He failed to turn up to work at Sainsbury's supermarket the following day and his body was discovered by a worried colleague two days later. 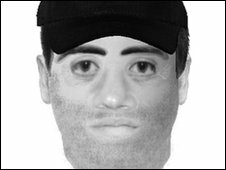 His bank cards were used, possibly by the murderer, in the nearby towns of Bourne and Stamford several times between 22 and 25 October. Mr Wood's wife, Joanne, from whom he was separated, said: "To know how Alan suffered at the hands of those people is never going to go away and when you close your eyes at night that's all you can think about and it takes away all the happy memories. "I just howled. I just couldn't believe that there would be anybody in the world that would want to murder Alan."